Are you considering expanding beyond your etsy shop? 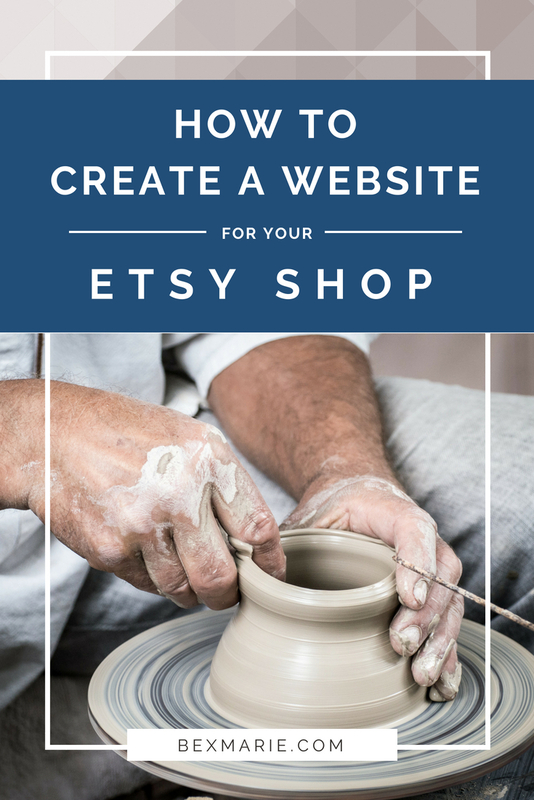 It can be an overwhelming project to create a website for your Etsy shop, especially when adding on the e-commerce aspect. Today I published a YouTube video about how to get started on a website for your etsy shop with an easy 3-phase approach. Here’s the video and below that you’ll find the summary of each phase in the process. Note: This post contains affiliate links to my favorite tools/services! Getting started is easy and affordable. The first baby-step to your own website is to register your own custom domain (for about $10.) This is such a small investment and it’s an easy win – it’s basically a no-brainer! Grab your shop name as a .com by registering it with a domain registrar. I personally use and recommend NameCheap for registering domains. (Make sure you check for their current coupons and promotions to see if you can snag a little discount.) Some other domain registrar options could include Google, Hover, Name.com, or GoDaddy – but don’t get this confused with web hosting – you don’t need that bit for Phase 1. Just register a domain and it shouldn’t be more than $15 for the year. Now if you search for your desired domain name and the registrar says it’s going to be a lot more than what you’re expecting, that’s because it may be considered a “premium domain” – and it’s highly desirable or more valuable. So take a few minutes to brainstorm some alternative names that are still very closely related to your brand / shop name and still relatively short. Or consider if you believe it’s worth the investment to have the exact domain you want. You’re the boss! Once you get your domain name registered, you want to go into your account and manage that domain. You should see a list of all your domain names and be able to manage the setting for each one. So click “manage” and look for a setting called something like domain redirect or URL forwarding. Click in there and you can set up your domain name to forward to your Etsy shop URL. Boom that’s it! Now you can begin using your own custom domain on all your promotional materials and social media profiles. Begin using it on business cards, vinyl banners for your craft show booth, post cards you include in every shipment, brochures, etc. You can even put your domain on your product packaging too. Now you’re always driving traffic to an asset that you own and control. 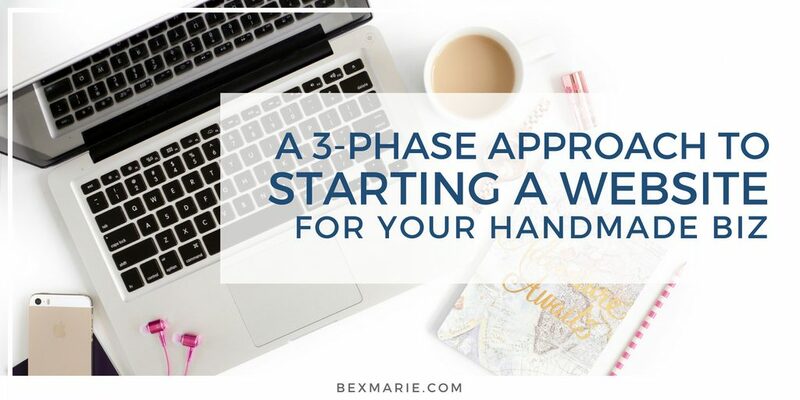 Phase 2 is when you actually begin to create a website for your Etsy shop. And now you do need to choose your web platform and host. Hosting is like renting the land where you will build your house. It’s literally renting space on a web server – which is a fancy name for a supercomputer that kept in a perfectly cooled environment and is online 24/7 serving all the files that make up your website. I’m using the term ‘platform’ here to mean the software you use to build your site. This is known as a “CMS” (Content Management System) in the geek world. Remember, now your custom domain should point to your own website. Now you have your own branded website that explains who you are, what you make, who you make it for, etc. You can showcase your products, allow customers to contact you easily, and tell your story. Plus customers can purchase your products by clicking the “shop” link and landing right into your Etsy shop. Now that you have your basic website, you can build your own e-commerce shop directly within your website. And you can do this “under the hood” while your website is live. People clicking the “shop” button will be directed to Etsy in the meantime while you’re working on Phase 3. During this phase you want to set up your e-commerce. This involves installing the WooCommerce plugin if you’re on WordPress (it’s free, just go to Plugins > Add New, and search for it! Install & Activate), setting up your shop categories (or “collections” if you’re using Shopify), adding your products, etc. You also will need to set up the back end settings such as payment gateway (like PayPal or Stripe or something else) and your shipping settings. When you’re ready to “go live,” all you need to do is change your “shop” link in your navigation to point to your internal online shop. For WooCommerce this is typically at yourdomainname.com/shop (unless you changed it to something else in the settings). Now you really did create a Website for your Etsy shop complete with your own shopping cart and checkout! High five! If you find yourself getting stuck on Phase 2 about what you should include on your website, you can download my free guide of the 9 Must-Have Elements for your Handmade Website! Hi! I’m Rebecca. 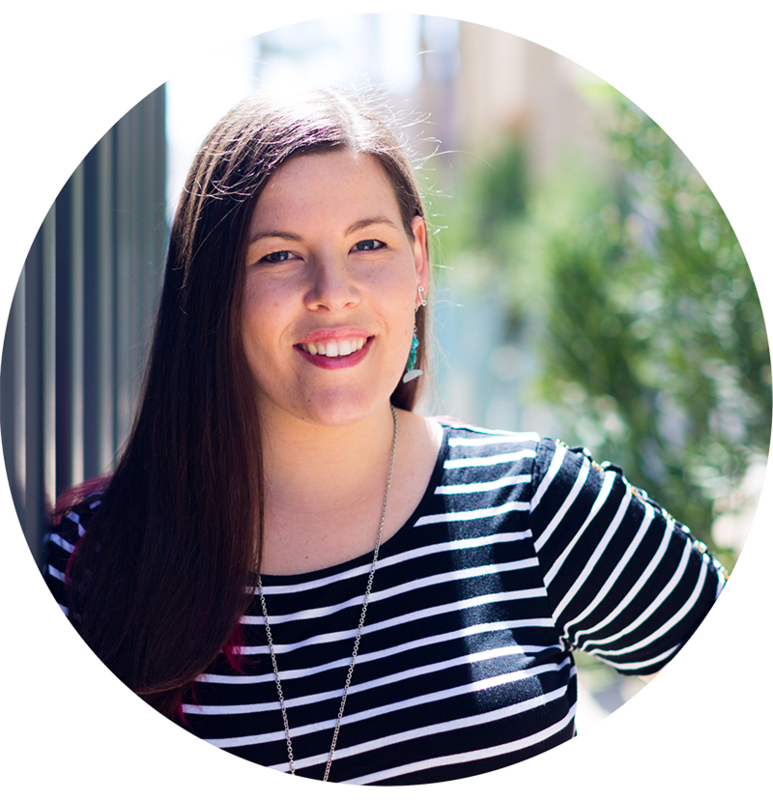 I love helping creative entrepreneurs and small biz owners DIY their own websites with WordPress. Giveaway! Win everything you need to create your own website!